The color, shape and the large dimples , bumps ( air vents ) are an indication. These features are not found on European Demijohns. Eastern Demijohns on occasion have dimples, bumps ( air vents ) but they are much smaller. 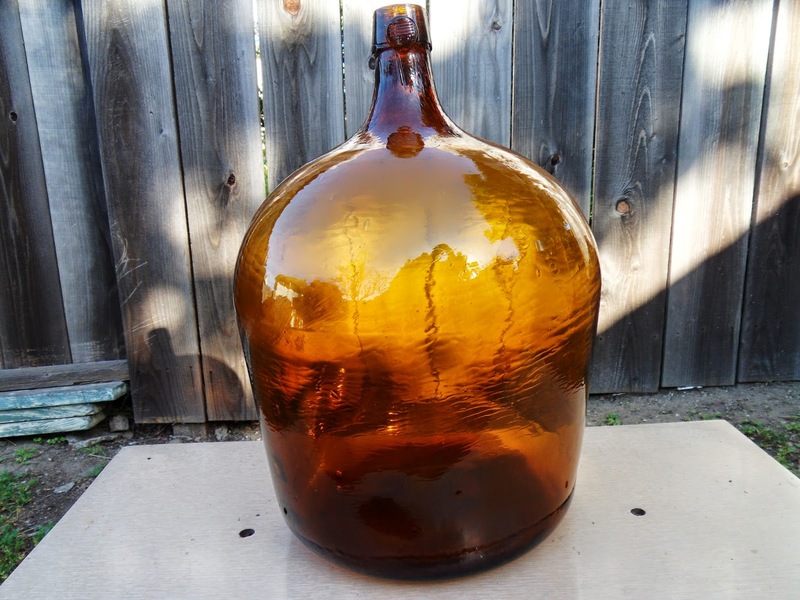 I have shown this Demijohn to the top collectors in America : New England, MI, DE, FL, as well it has been shown to long time European Glass collectors, none have ever seen a Demijohn like this. 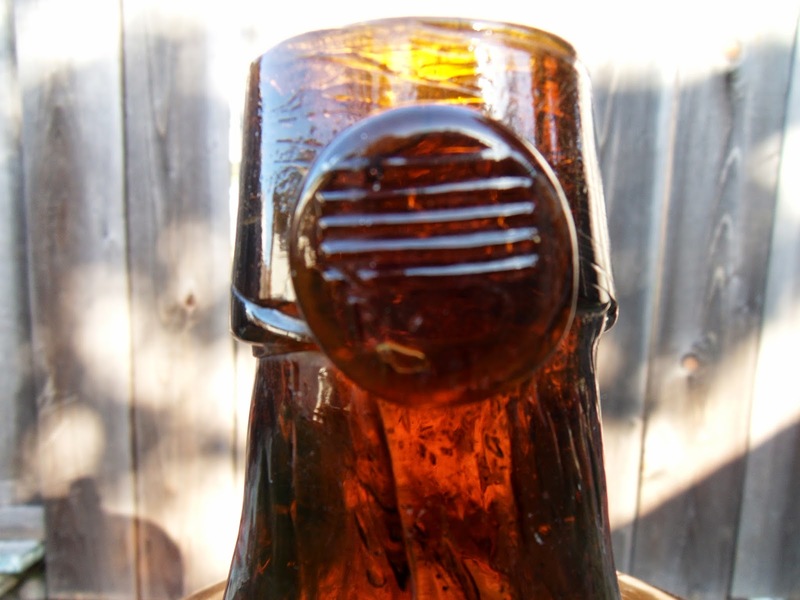 The air vents ( bumps, dimples ) were used on some Jessie Moore Whiskeys and also on some of the Peruvian Bitters. The color of this Demijohn matches up quite close to some Peruvian Bitters I have seen. I also have another 20 inch in height Demijohns in this color and with the bumps, dimples ( air vents ) the shape of it and the top are the same as boxed western Demijohns I have seen. I will keep my eyes peeled for these...I appreciate the knowledge.